The Magazine - PaganSquare - Join the conversation! There are at least three reasons to use the divinatory arts: to explore, to communicate, and to get advice. In this special issue, we explore the mysteries of Tarot, and of divination, from all three perspectives. "Ask the Land: A System for Bioregional Divination." Lupa shares tips on how read your own watershed and use its gifts in divination. "Pure Magick!" Michael Night Sky interviews Judika Illes. PLUS "5 Magical Uses for Tarot." "A Sephirothic Odyssey: Creating the Golden Dawn Temple Tarot." Artist, tarotist, and mystic Nicola Wendrich shares her seven-year journey to create a new deck rooted in the Golden Dawn magical order. "Reading the Leaves: A Beginner’s Guide to Tea (and Coffee) Divination." Discover the ancient art of tea leaf and coffee grounds reading with author Morwyn (What’s Your Potion?). "Ogham for Beginners: An Introduction to Druid Divination." Let Celtic shaman and author Danu Forest (Celtic Tree Magic, The Magical Year) draw back the curtain on the art of Druidic tree divination. "Working with the Spirits of Change: A Pagan Guide to the I Ching." Heidi Parton describes how modern Pagans can use an ancient Taoist book of wisdom to offer uniquely sage advice for complex questions. "78 Shades of Tarot. "Author and Tarotist Janet Boyer knows from experience that there’s no such thing as a “good” or “bad” card. "My Mother’s Cards." Asa West discovers an entire missing history of American Tarot hidden in an heirloom; an old 1JJ Swiss Tarot deck. In "Making the Everyday Witch Tarot," Deborah Blake and special guest Elisabeth Alba describe what it was like to create their new Llewellyn deck. Diotima Mantineia ponders the meaning of divination in "What does it mean to predict the future?" H. Byron Ballard shares her personal history in old-fashioned divination with "A knack with the cards." Heathen author Shirl Sazynski looks at divination as a way to connect with deity in "Asking the Gods for Guidance." Raven Grimassi on "Tarot and the Magician"
Archer "The Power of the Tower (Card)"
Hecate Demetersdatter, "Who are the American Spirits of Place?" Jamie Wood, "The many faces of Sage"
Jason Mankey, "Where Goeth Paganism?" Last, but not least, in "The Crafty Curmudgeon" Fritz Muntean & Rosa Weiss ponder the dangers of Pagan fundamentalism. 88 pages, published in December 2016. Table of contents in PDF format. Mini flash-view of this issue. Own the digital edition, readable with any PDF reader, for just $6.95. - OR - Subscribe and support your path. In this special edition of Witches&Pagans, we take an in-depth look at the theology and practice of modern polytheism — one of the fastest growing movements in the modern Pagan movement. Niki Whiting starts us off with "Rooted in the Gods: A Brief Guide to Modern Polytheisms" by outlining the theological styles of polytheism, as well as the modes of practice (devotional, reconstructionist, relational) common in these many communities. Silence Maestas offers us a more personal look in "The Living Heart of Polytheism" which examines a key part of modern polytheisms: the relationship between a devotee and their chosen deity. Philosophers Edward Butler and Gus DiZerega take a deeper look at what is a very thorny theological issue in modern polytheisms: the relationship (if any) between individual Gods and a Greater Divine unity. Butler looks to the Platonic philosophers for answers in "Polycentric Polytheism," while DiZerega takes inspiration from the organization of living beings and ecosystems in "Rethinking Individuality: Wicca, Polytheism, and the Biology of Emergence." We also feature an opinion piece on polytheism and devotion by Galina Krasskova, and a passionate defense of polytheism as a modern path by druid John Michael Greer. Storyteller Gail Nyoka shines a light on the modern revival of Druidry in its native land in "The Druids Return to Anglesey: an Interview with Kristoffer Hughes." After a massive illness changed her life forever, Virginia Carper found solace — and a new sense of purpose — by cultivating devotional relationships with the spirits of extinct species. Discover her journey in "That Which is Remembered, Lives: Establishing a Cultus for Extinct Animals." Widespread popular attention has focused in popular culture on the culture and religion of the Northern gods. In "Heathen English," Ash Grimsbury argues that we’d be even closer to these deities if we used their native language: English. Plus the magic of pilgrimage (Archer), spirits of place (Hecate Demetersdatter); cultural appropriation and Wicca (Deborah Blake); Drawing Down the Moon (Jason Mankey); the gods of astrology (Diotima Mantineia), the story of Aloe (Jamie Wood); Cakes for the Queen of Heaven (H Byron Ballard); and welcoming House Wights (Shirl Sazynski.) Plus Pagan poetry and a story about a Heathen priestess coming into her power "Gullveig Drowning by Jackson Eflin. 88 pages, published June 2016. Dive deep into this special issue on all that is magical, with an emphasis on how spellcasting fits into modern Pagan practice. Is hexing evil? Francesca De Grandis reminds us of the long history of using magic for practical purposes: and to overcome injustice. Curanderismo is the tradition of physical and spiritual healing in most Spanish-speaking cultures. Carolina Gonzalez is a Curandera in the Canary Islands and Hex-Breaking is one of her most-requested services. In an age of Tumblr, an ancient craft has become unexpectedly popular: the practice of making magic with nothing more than a pen and paper. Steve Shanafelt discovered its power firsthand. In which our intrepid reporter Natalie Zaman has several tête-à-têtes with an enchantress -- and falls just a little bit under her spell. PLUS Simple Methods to Talk to the Dead. Interview: Experimental Magic with Taylor Ellwood. Magician Taylor Ellwood is perhaps best known for bringing together pop culture with modern occult practice. Find out what makes Taylor tick in thisinterviewby Justin Patrick Moore. Wisdom from our columnists: Raven Grimassi, Hekete Demetersdottir, Deborah Blake, Jamie Wood, Jason Mankey, John Michael Greer, Diotima Mantineai, H. Byron Ballard, Shirl Sazynski, Fritz Muntean and Rosa Weiss. Including the five powers of the traditional Witch; the hidden powers of dreams; Hekate: Goddess of Magic -- and Revolution; The Power Tools of Every Witch; the Magic of Mint; Using Astrology in Your Magic; Generous Wort and Wilfull Bane; A Norse hallowing rite; and The Dangers of Pagan Fundamentalism. As well as an interview with Australian author Jane Meredith by Lilith Cerridwyn; Pagan poetry by Diana Durham, Sarah Karasek, Greg Dotoli, Heddy Johannesen, and Sarah Wagner; short fiction “The Call of the Night,” by Melodie Bolt; and a guest editorial by John Halstead. Artwork by Matthew E Walker; Kirsti Sarmialal-Berger; and Laura Tempest Zakroff. In this summer issue, we discover the many ways to create a magical home. "Food for Thought: Wandering Witch Visits Cucina Aurora." 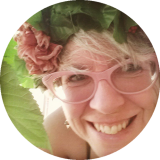 Our ever-traveling correspondent Natalie Zamen visits with entrepeneur, magickal chef, and kitchen witch extraordinaire Dawn Hunt, to talk about her work in making magic delicious. 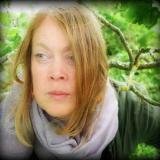 PLUS: in "Green Magick" Stacey Carroll introduces us to the magical properties of common household herbs and spices. Voudou traditions are religions born and tempered through slavery, oppression, and hardship. In "Be Prepared: Protect Your Home with Voudou" Lilith Dorsey shares some of her path’s hard-won protection workings. MORE on home-making magic: Whitehurst draws connections between Western esoteric magic and the Eastern art of feng shui, and teaches us how to bring more balance and harmony to your home in "Feng Shui for Pagans." How does a witch become a mother?" For Christine Hoff Kraemer it all started with a fertility spell. She tells her story in “Priestess of the Flesh." In our outwardly-focused age, the goddess Hestia has largely been overlooked. Let Lisa McSherry introduce you to this most essential goddess — that she first met on a trip to Rome — in "Hidden Hestia: Goddess of Hearth & Home." Sorcha Fellnar brings us the story of a Norwegian-American rediscovering the Heathen paths of her ancestors in "Return of the Völva: Rediscovering Northern Traditions with Kari Tauring." Elizabeth Creely introduces us to the groundbreaking work of a modern Heathen researcher in "The Seed of Yggdrassill: Decifering Hidden Messages in Norse Myths with Maria Kvilhaug." Plus our regular columnists: Raven Grimassi, Archer, Hecate Demetersdatter, Deborah Blake, Jason Mankey, John Michael Greer, Diotima Mantineia, H. Byron Ballard, Fritz Muntean, Shirl Sazynski. With special guests John Beckett and Alicia Cole, pagan poetry, reviews, and letters from our readers. 88 pages, to be published in June 2015. Meet Magickal Witches: Two charismatic ladies light up this special issue concentrating on Witchcraft and Wicca. In “Craft of the Wise” we meet a reigning Queen of Gardnerian Witchcraft, the distinguished Wiccan elder Patricia Crowther. 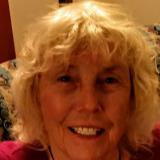 Ms. Crowther has been part of the Craft for over fifty years, and in this conversation with Michael Night Sky, she remembers back to the days of Gerald Gardner when Wicca was new and shares her observations on the state of witchcraft today. Deborah Blake specializes in teaching her readers how to bring magick to everyday life. In this interview, "(Not Just) Your Everyday Witch" we sit down with the charming and vivacious author of seven books on practical magick to find out how she keeps her own world magickal. (Spoiler: she's got a black cat named "Magic" who helps out quite a bit.) Find out what makes Deborah tick — and what new projects are in the works for her — in this exclusive interview by C.S. MacCath. Chase Down the Great Beast — in London? Nomadic magickal travel writer and explorer Natalie Zaman recently crossed the Atlantic to hunt for traces of the mysterious magician Aleister Crowley. Follow her as she day-trips around London on the trail of the Golden Dawn and find out what she uncovered in "Wandering Witch Goes to London." The Culture of the Craft: Catt Foy investigates what’s actually in that Witches’ cauldren in Shakespeare’s MacBeth. What’s in your Spellbook? Cory Thomas Hutcheson uncover the secret depths of the magician’s book of wisdom. PLUS: Our columnists speak out: Raven Grimassi extols the value of unwritten tradition; Archer shares the lore of magical elixirs ; HecateDemeter incites us to consider the radical acts of witchcraft while Ashleen O'Gaea introduces us to her tradition: Adventure Wicca. Jason Mankey claims the title of “Witch;” John Michael Greer challenges us to embrace a Pagan view of time; and Fritz Muntean excoriates mythical origin stories. Plus two new columnists: Diotima Martinea introduces a new column on Pagan astrology; and rabble-rousing activist H. Byron Ballard introduces us to her flavor of down-home Southern witchcraft. Plus letters, reviews, Pagan poetry and lots more! 88 pages, published in December, 2014. Meet Pagan Leaders: This issue guest-stars a pair of notable Pagan writers. In "A Priestess for All Seasons" we sit down with loremistress, fantasy author, seeress and Pagan/Heathen community leader Diana L. Paxson. Diana is best-known for her work on the "Avalon" series (launched by Marion Zimmer Bradley) but has more than thirty novels and non-fiction books to her credit. Discover what inspires her amazing imagination in this exclusive interview. Western esoteric author Josephine McCarthy has been a working magician for over three decades; we discuss how magick arises from the power of the land spirits in "Visions from the North Gate." Visit Sacred Lands: Celtic scholar, and druid/shaman-priestess Sharon Paice MacLeod guides us to earth altars, caves, and much more in “Gods of the Hollow Hills: Earth Sanctuaries of the Pagan Celtic World.” Also in Great Britain, meet Druid author Emma Restall Orr, and her deep-rooted quest to found and cultivate a natural sanctuary and cemetery in "Sun Rising." Hone Your Spiritual Practice: explore the way in which artist and eco-Pagan Lupa Greenwolf honors the spirits of animals while working with their bones in "Sacred Remains" while Susan Harper concludes her series on the magick of the Elements with "Sensing Earth." PLUS: A guest editorial on spiritual eating by the late Judy Harrow. Our columnists offer a cornucopia of lore, legend, and practical magick: Raven Grimassi teaches us to create a Shadow Garden; Archer treats us to the lore of household altars; HecateDemeter extols us to root our political magic in our land base. Two columnists extol their homes: Galina Krasskova explores her upstate New York home while Ashleen O'Gaea describes the magic of Arizona. Last, but hardly least, Deborah Blake shares grounding and centering tips; Jason Mankey reveals his 1890's ritual; John Michael Greer recommends against Pagan clergy; and Fritz Muntean goes to Great Britain. Plus letters, reviews, Pagan poetry and lots more! 88 pages, published in May, 2014.